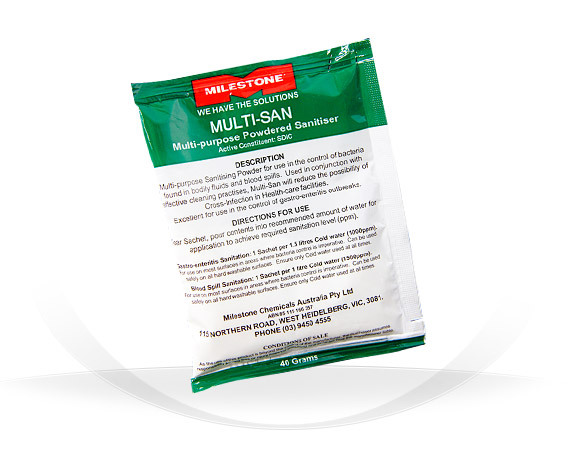 Multi-purpose sanitising powder for use through-out facilities where bacteria control is imperative. Additionally, can be used to sanitise raw fruit & vegetables to meet with food preparation regulations. Broad spectrum phenolic disinfectant, cleaner. 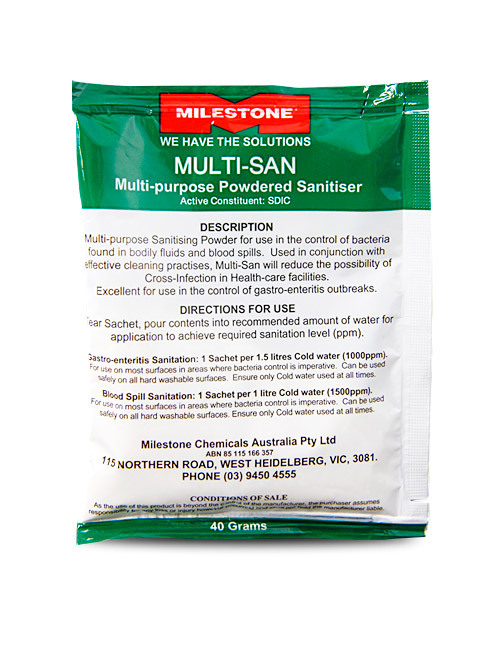 For use in consulting rooms, dental clinics, veterinary surgeries, stables and barber shops for the disnfection of utelsils and equipment. A blend of powerful biocide and virucide agents, combined with a pleaseant floral fragrance that neutralises offensive odours associated with portable toilets.